We are living in the age of corporate landscape where the emerging e- commerce business has grown by leaps and bounds. Big e-commerce site is growing 23% year-over-year, and the e-Marketer has predicted that the global e-commerce sales will elevate to $27 trillion in 2020. That’s a massive growth! So if you’re interested in doing business online, you need to know the ins and outs of the e-commerce industry because the competition is getting tougher. 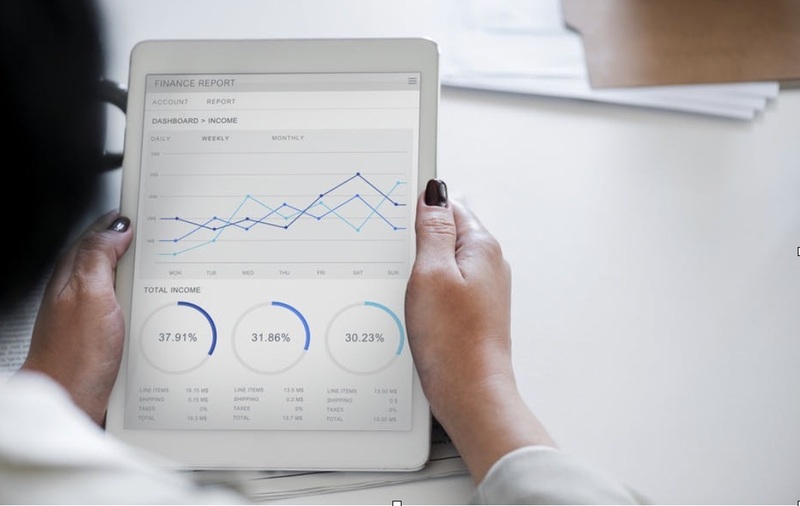 When you are doing an e-commerce business, the first thing you need to do know is the E-commerce price analysis. It divides the e-commerce business into two forms of commercial transactions; business to consumer e-commerce (B2C) or business to business e-commerce (B2B). Both of the systems differ in scope, complexity, profit, and cost. So which one is more productive? Let’s find out. 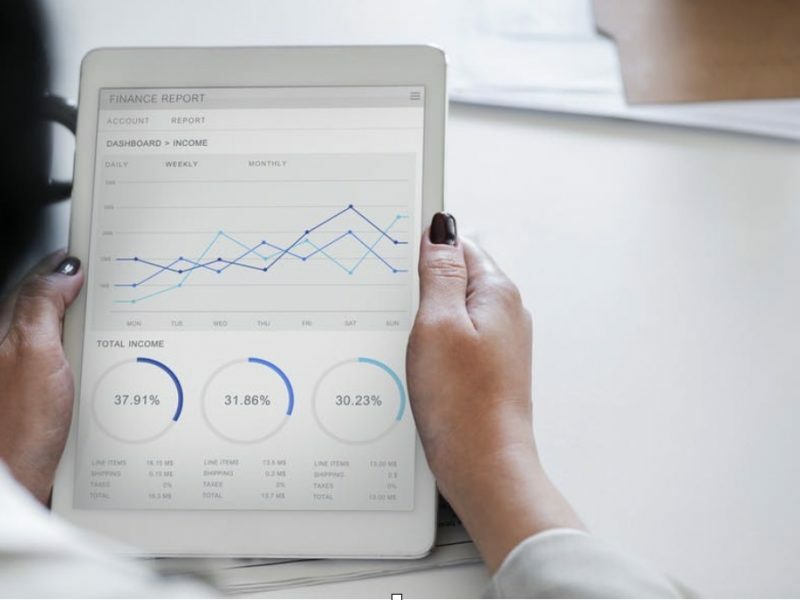 This e-commerce price analysis of B2B and B2C will help you understand how the marketing strategies of these two systems can boost the revenues of your online business. B2B buyers are professionals. You sell your product to fulfill a specific company need. 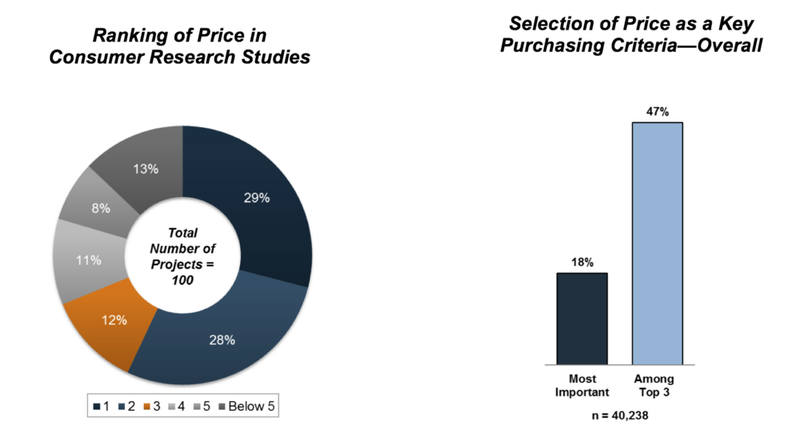 The buying decisions are based on facts, logic, and finding the best product for the best price. It is not a whim; instead, it’s a need-based purchase. The buying schedules are often synced up with departmental needs, and the customers will go through a different purchasing methodology. Whereas, in B2C, you sell the product to fulfills an emotional need. 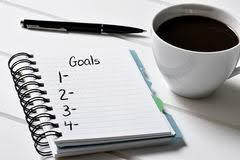 Motivation and desires drive the purchasing decisions. People will buy your product if your marketing strategy meets a pressing need. With B2C your website needs to be streamlined and more user-friendly. The users should not face any difficulty in adding products to the cart or experience a lengthy checkout process. 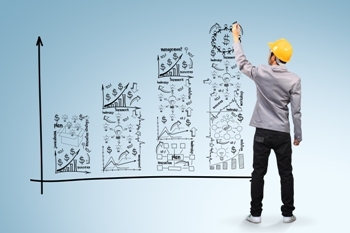 The B2B market has a higher tendency of knowledge to the product. B2B e-commerce focuses on features; you need to focus on what your product does and the substantial need it solves. You need to emphasize more on the features, instead of the advantages the business will get. You need to focus on the mindset of buyers what they will need to see while making a purchase and how ordering from you will help their bottom line while fulfilling a need. B2C e-commerce focuses on benefits. As these markets are more emotional in nature, you need to cater your concern more towards the interests of the product. Your product’s message must be simple, and easy to understand. You will need to focus more on the end result of your product. With B2C you’ll take the time-tested approach for marketing, which is appealing to benefits, not features. This e-commerce price analysis of b2b and b2c services will give you some insights that you can apply in your venture and amplify your e-commerce business to the next level. 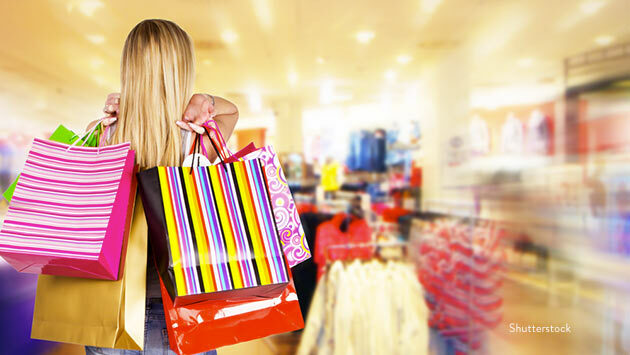 Did you know that psychology is an important aspect of shopping? Yes, this is true! 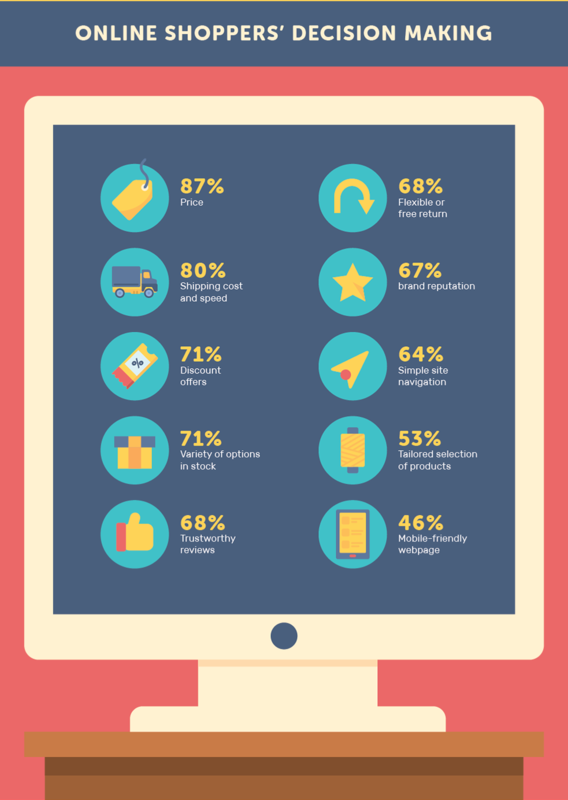 “Shoppers psychology” is a real thing and it can hugely affect how effective a business’ sales operation is. Our brains work in predictable patterns; we make common associations, we move and think in certain ways, we even have shopping routines. Businesses can make use of shopper’s psychology to tailor their customers’ shopping experience. They can tap into the human psyche and alter their stores, websites, and products accordingly, to provide ultimate consumer satisfaction (and improve their sales of course!). There are plenty of examples of shopper’s psychology, and generally there are two approaches – a direct approach and an indirect approach. A direct approach would be offering a concrete advantage, like a discount, to your shoppers in order to expand your influence on the market. For example, the car rental company Budget offers discounts to their customers via a Best Price Guarantee – in the event that they happen to find a better price than theirs for an equivalent service. There is also an indirect approach to shopper psychology, like taking advantage of the fact that different colors evoke different emotions in customers. Red, for example, is associated with energy and urgency, whereas purple is a soothing color that can create a calm feeling. Businesses can make use of various colors to improve the effectiveness of their products and instill desirable feelings within their consumers’ minds. Finally, it has been shown that 68% of consumers believe that signage reflects the quality of a business’s products. Furthermore, it is noted that 76% of consumers have entered a store purely because of its sign. Signs can be used to a business’ advantage and can create a favorable first impression. 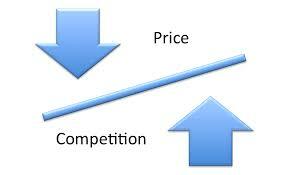 Why You Should Track Your Competitor Prices ? Why Competition Is Good For Your Business ? 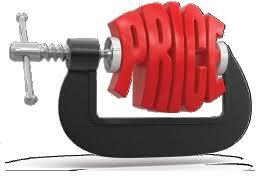 Price Effects The Buying Decision of the Customers ? Mostly Price is in the Top 5 Criteria that Directly Efects the Customer’s Decision… There could be too many parameters… These are generally effected by sales channel, brand , brand awerness, design, speciality and functionality of the products. Overall, price/cost of ownership remains the most influential decision driver, with nearly half of the respondents considering it as one of the top three factors for selecting a product or service. Of those, 18% selected price most important factor. Semantic Search Engine for Specific Needs ? What is Semantic Search ? 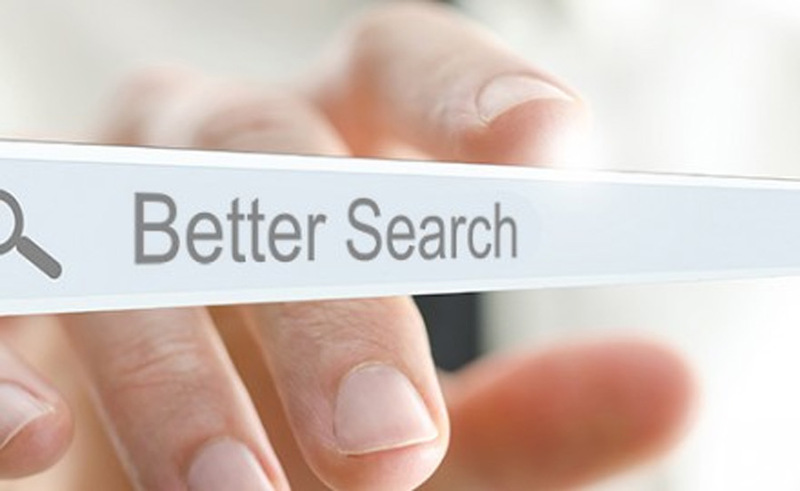 Semantic search (wiki)seeks to improve search accuracy by understanding searcher intent and the contextual meaning of terms as they appear in the searchable dataspace, whether on the Web or within a closed system, to generate more relevant results. Actually most of the internet users use semantic search for example you are searching for a holiday for a specific location, looking for a second hand specific brand car specific location, looking for a job for specific title or just looking for a dinner from internet. Do you need any specific Semantic Search Engine? EPA team has experince for diffrent industries about collection ,reporting,analysing and visualising specific data. Also our core engineering team improved EPA technology. Currently we are able to build tailor made semantic search engine for your specific needs.